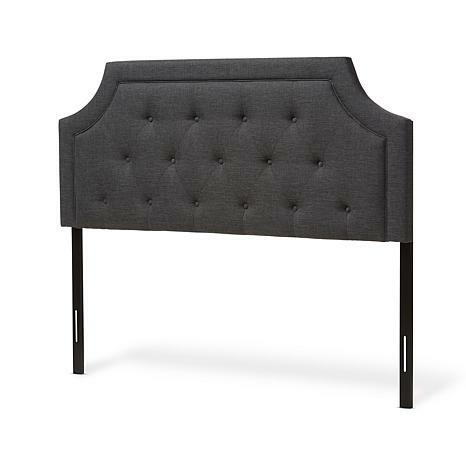 With its quality finishes and classic look, the Mars fabric upholstered headboard with solid rubberwood legs is available in a range of warm hues to complement your look. 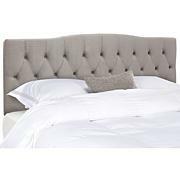 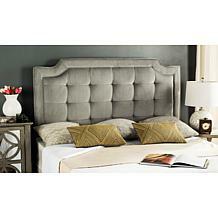 Romantic bedhead shape with exquisite corners and curves, putting a modern edge on classic design. 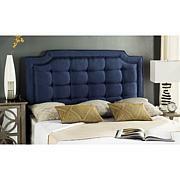 Constructed of solid rubberwood and MDF, the Nadeen king size headboard is upholstered in durable polyester fabric. Featuring deep button-tufted design for a classic look, the Mars is supported sturdily by the wood posts with 5-level adjustable pre-drilled screw holes to the headboard and 2-level adjustable to the bed frame. 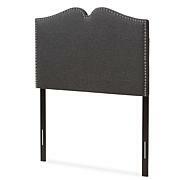 Leg supports are invisible once set up and can be adjusted to suit the height of your ensemble for convenience. 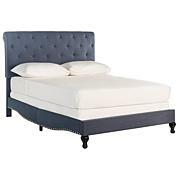 Traditional adjustable metal bed frame such as Leggett and Platt bed frame will work well with the headboard. Cushioned headboard is padded with high-density foam for softness and shape, providing a comfortable leaning space. 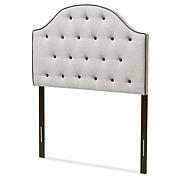 Made in Malaysia, the Mars headboard requires assembly.